Erika Swyler is an American writer and playwright with a fascination with travelling carnivals. This passion inspired her debut novel The Book of Speculation. Simon’s not having the best week; his job at the library is at risk, his home is crumbling into the sea and his sister is coming home to see him, which means there must be something wrong. Enola left the family home as soon as she could after their mother walked into the sea, never to return and their father died soon after. If she’s coming home, it definitely means there’s a problem. To make matters worse, Simon had a brief affair with his neighbour’s daughter, the only man that could help him save his home. How could he look him the eye and ask for money after that? So when an old book arrives in the mail, inscribed with his grandmother’s name, Verona Bonn, he grabs the distraction and begins to investigate how a book that documents the movements of a travelling circus is connected to his family. As Simon learns of the circus and the wondrous people behind the performances, he stumbles across an unnerving fact. His mother drowned on the 24th of July, as did his grandmother and possibly his great-grandmother. What makes it even stranger is they were all well known for their ability to hold their breath, performing as mermaid women for generations. When Enola arrives home, he can see something is very wrong but can it really be a curse? With only days to go until the 24th of July, he needs to uncover the secrets hidden in the book to save the one woman his family has left. The Book of Speculation by Erika Swyler is an absolutely stunning read. Packed with everything I love in a novel, from a strong sea theme to sideshow entertainers and a loveable but slightly exasperating protagonist, it is pure perfection. Alternating from the modern day trials of Simon and the historical tale of Amos, the circus Wild Boy, The Book of Speculation cleverly weaves a number of different storylines to capture the reader instantly, whisking them up into the magic of the story and never slowing in pace. This is the kind of book that makes me miss being a bookseller, I wish I could push it into people’s hands every day. Beautifully written, this story of family secrets is a modern fairytale that I wish I could read for the first time all over again. Like a cross between The Snow Child by Eowyn Ivey and Geek Love by Katherine Dunn, this novel makes you want to crawl inside the pages and meet the damaged yet wonderful characters face to face. In short, buy it, buy it now! Then buy another copy and give it to someone you love (Christmas is just around the corner!). 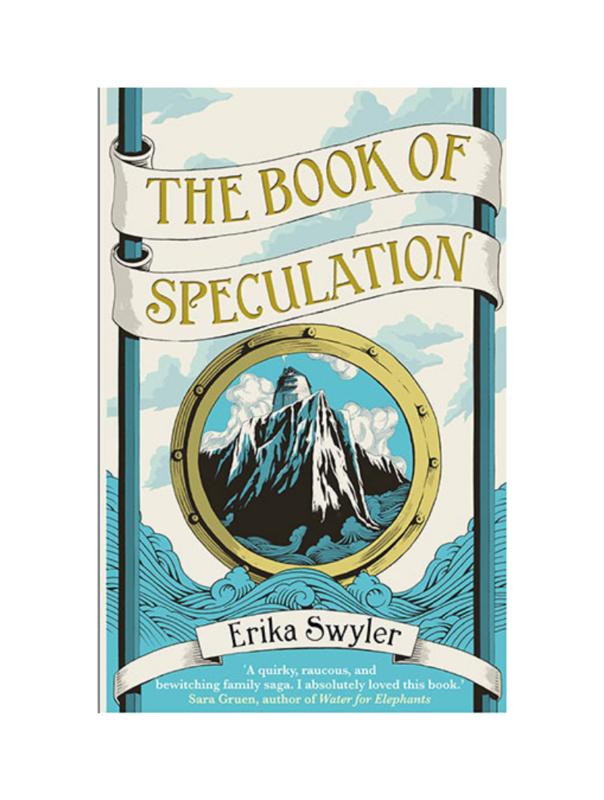 Powerful, unique and completely enchanting The Book of Speculation by Erika Swyler is unmissable. Whether you read a hundred books this year or three books this year, make sure this is one of them. If you liked The Book of Speculation by Erika Swyler you’ll love The Museum of Extraordinary Things by Alice Hoffman.